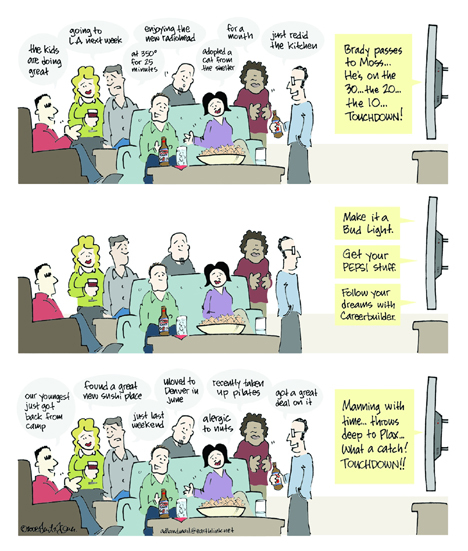 David T. Jones, creative director with Draft FCB Chicago, and cartoonist for Adweek, has produced a humorous take on the advertising world’s focus on the Super Bowl game. A group of advertisers gather for a Super Bowl party. Conversation buzzes through the game, pausing only for the advertisements.